Knife Masters Gil and Wes Hibben continue to put out innovative designs, which become legends in their own right! The Hibben Legacy Ulu Knife is a sleek and modern reimagining of the traditional ulu knife, used since ancient times. 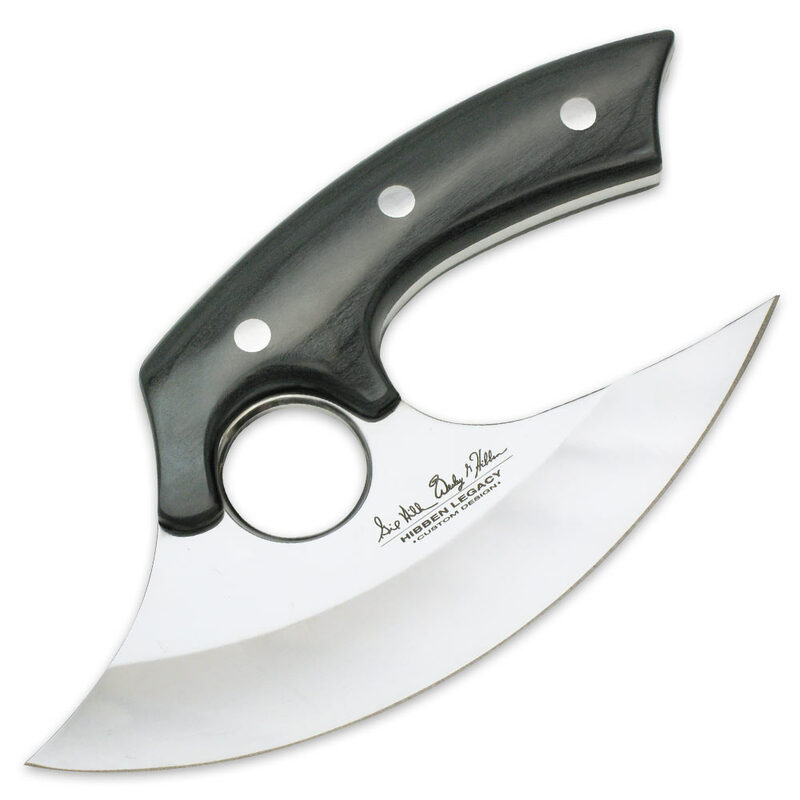 The 6 1/2” 5Cr15 stainless steel blade has a mirror polished finish that provides a striking contrast to the black pakkawood handle scales, which are secured by stainless steel pins. As attractive and visually pleasing as the Hibben Legacy Ulu Knife is, it is definitely no display piece! The wide and beefy blade is keenly sharp, allowing you to put it up against any slicing or cutting task whether it’s at home or on the hunt. The ulu knife is protected by a black leather belt sheath with an embossed Hibben logo and a secure snap closure. This is an absolute must-have for your Hibben collection!